Five Manhattan West. Rendering via Millerhare. Governor Andrew M. Cuomo announced today that tech giant Amazon will be growing its presence in New York City. The company just signed a lease for a 359,000-square-foot administrative office at Five Manhattan West, Brookfield Property Partners’ 16-story, 1.8 million-square-foot Skidmore, Owings & Merrill-designed building located on Tenth Avenue between 31st and 33rd Streets. The new addition is expected to create 2,000 new jobs in finance, sales, marketing, and information technology. The offices will be the main New York location for Amazon Advertising, which handles sales, marketing, product, design, engineering and more. “We’re excited to expand our presence in New York–we have always found great talent here,” said Paul Kotas, Amazon’s Senior Vice President of Worldwide Advertising. Gov. 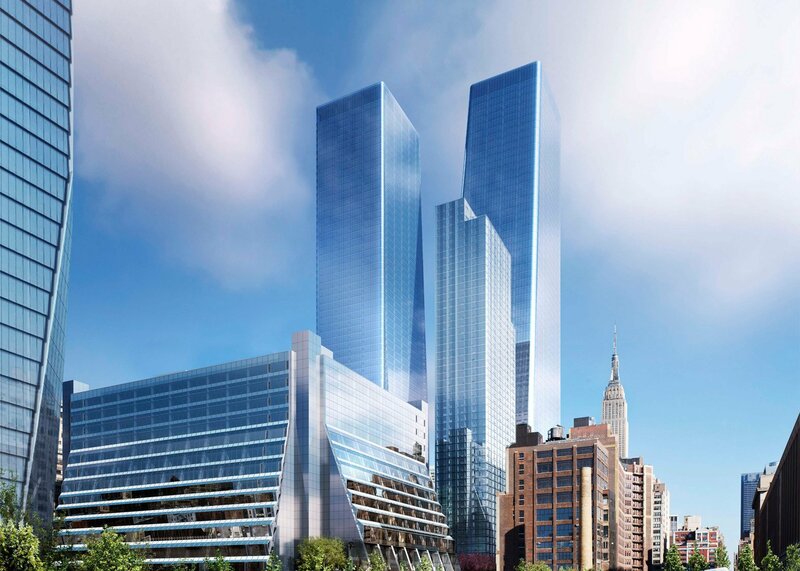 Cuomo said, “Amazon’s further expansion in New York is proof positive that our strong economic climate, diverse workforce and talent, are helping to attract top-notch companies from around the world.” Five Manhattan West is a part of the new eight-acre neighborhood being developed on Manhattan’s west side. The new lease brings the the building’s occupancy to 99 percent. Amazon plans to invest $55 million to outfit the new space using energy-efficient standards. 6sqft reported earlier this year that a 60,000-square-foot Whole Foods will be moving into the Manhattan West complex, which is directly across from Related’s Hudson Yards. Could the new Amazon headquarters be in Sunset Park’s Industry City?